A talented artist, Adolphe Arnold and his wife Emma embraced the faith of Jehovah’s Witnesses. They raised their daughter Simone with a strong sense of justice and deep desire to please God by their words and actions. 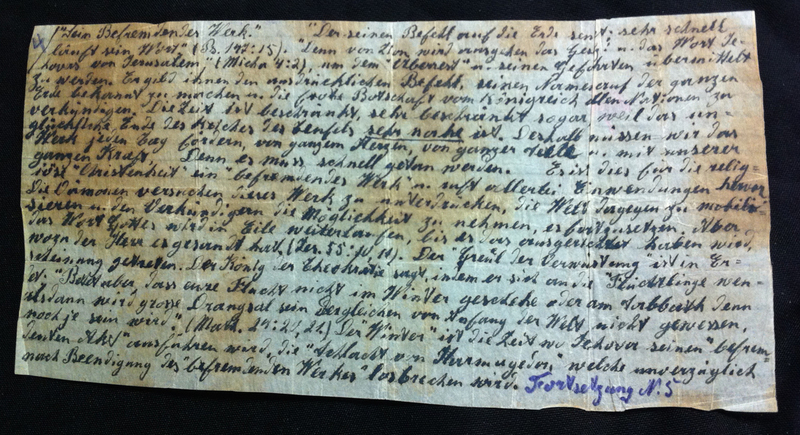 After the Nazi occupation of France in 1940, they continued to practice their faith in secret. In September 1941, the Gestapo arrested Adolphe. 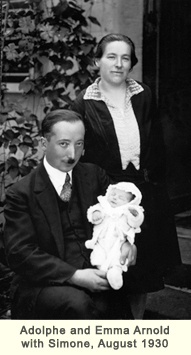 After being imprisoned in Mulhouse, he spent nearly four years in the Nazi camps of Schirmeck, Dachau, Mauthausen, and Ebensee. Upon his arrival at Dachau Concentration Camp in January 1942, Adolphe was identified by a purple triangle on his uniform, the Nazi symbol for Jehovah’s Witness prisoners. He was under constant pressure to sign the Declaration renouncing his faith in exchange for his freedom, but refused to do so. 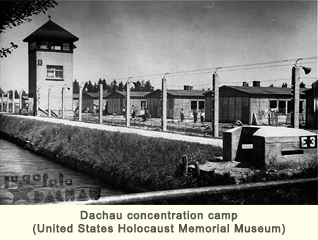 The commandant at Dachau gave permission for families of prisoners to send them food parcels. Emma found a way to secretly include excerpts from a banned Jehovah’s Witness magazine in Adolphe’s parcels even though doing so was a very dangerous undertaking. Copying the text in tiny letters on fine paper and rolling it up tight, she put it between two cookies glued together with honey. By using very cheap cookies, it lessened the chance that they would be stolen by Kapos or inmates. She called the cookie texts ‘vitamins’ because they would sustain Adolphe spiritually even though he read them at the risk of his life. After Emma’s arrest, her sister Eugenie continued sending food parcels and ‘vitamins’ to Adolphe. 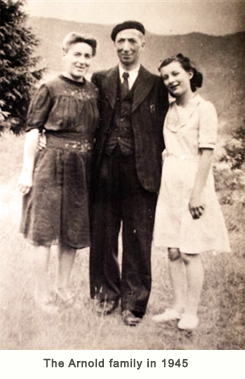 Reunited with his family in June 1945, Adolphe was close to death but his faith and values were intact. The family’s wounds gradually healed and their strong love and deep faith restored warmth and life to the Arnold family.